The Beer Barrel Man gets another issue, this time on an unstructured cap by '47 Brand (which used to be known as Twins Enterprise and Twins 47, and is still the best cap manufacturer out there). A version of this cap was released last year, but without the white keyline around the logo, causing the bat's speed lines to be lost against the background; this embroidery is a clear improvement. Even the little logo tag on the back is period-appropriate, in this case a gold 1970s block "M". 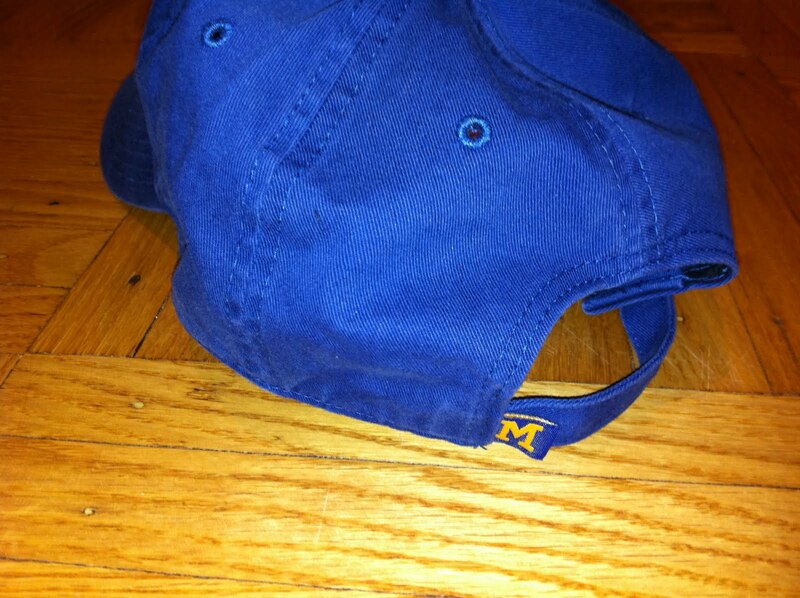 This is now my absolute favorite cap: perfect headwear for a run through the postseason. 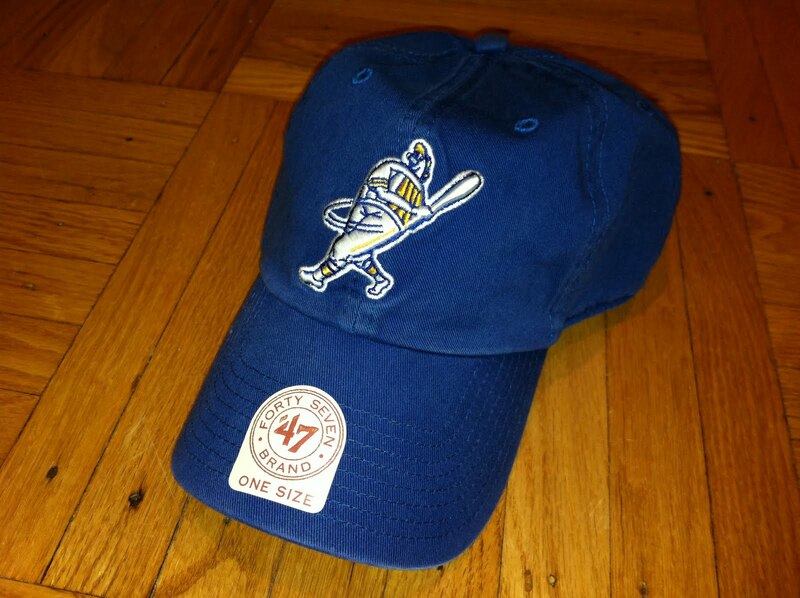 So far as I know, this cap is currently available only at Miller Park. Hopefully it will be available online soon for those of us not fortunate enough to visit the ballpark on a regular basis.